I am going TO the movies. I’m going TO Germany. I am going TO the pub. I am going TO Claudia’s. Ich gehe INS Kino. Ich gehe NACH Deutschland. Ich gehe IN die Kneipe. Ich gehe ZU Claudia. As you can see and may have noticed anyway, you have a few more choices in German. Having more choices is not always helpful, but you can easily break it down to a few ideas to help you remember which one you should use. You’ll get by with only using two prepositions when it comes to saying where you’re going: nach and zu. They are the most efficient ones. Of course, they both translate as ‘to’ but are used in different ways. I’m going to show you a very important rule (so you’ll understand the entire concept), then we’ll talk about nach, and cycle through in, auf, an, before we’ll finally make our way to zu. At the end, I’ll show you how nach Hause and zu Hause work. As a dative preposition, nach takes the dative case even if you’re talking about a movement, but luckily nach is often used without an article. Please also note that nach is not your best bet when in doubt. I know a lot of people think you should go for nach in case you get lost along the lines, but German offers a more universal preposition. I’ll tell you further down which one it is (spoiler: it’s zu). Let’s tackle in, auf and an by grouping them up first because all three follow one important rule. In, auf and an can also be replaced by zu, but more on that further down, we need do understand them first. Germans focus on the goal of an action. Of course, Germans don’t run around telling themselves, I’m going to say it this way because my goal of action is this or that, but they do it subconsciously. Keeping this in mind, let’s start with the preposition in and some examples. Surely, you’ve come across the preposition in. In looks like the English ‘in’ and is sometimes used in similar contexts (Der Mann wohnt IN Melbourne – The man lives IN Melbourne). But a lot of times, in features where in English you would say TO when it comes to going somewhere. Remember when I told you about the German love for goal-oriented thinking? Germans love giving actions some context by adding what the goal of the particular action is. We usually go to the movies to sit inside and shovel some popcorn into our mouths, take a few sips from our Coke and watch a movie. Because we expect to be sitting inside, Germans use the preposition in already to say that they are going there. Super efficient, right? Can you think of another example? How about going to the gym? Same is true for going to the pub: Ich gehe in die Kneipe. It makes sense when you think of watching a car from afar driving to the mountains, a car that will turn into a creeping little dot INSIDE this range of mountains. Same for a car driving into a city, the car turns into a little smudge before it completely disappears among the buildings and skyscrapers, IN this boxlike skyline of a big city. As a 2-way-preposition, in takes the accusative case because a motion is being discussed. Since we are getting really good at it, let’s move on to the next preposition, one that also has to do with goal-oriented thinking, the preposition auf. Given that Germans anticipate and use the preposition of where they’ll end up to express they’re on their way there, can you think of when you would have to use the preposition auf? But how come goal-oriented thinking made us end up ON a party (auf der Party)? There are no real reasons, but I like to think that most formal events have one thing in common and that is a stage. Or something that feels like a stage. The later the night, the more relaxed people feel at a party and the more likely someone ends up ON that stage. And aren’t we all on the stage of life anyway? Don’t we all try to present ourselves in the best light possible, especially at a fancy event? No matter how you remember auf and formal and public events or public places, just try to make up something that sticks, like being that guy that ends up ON the stage at a party. Being a 2-way-preposition, auf takes the accusative case here since we’re moving somewhere else. Next up is another preposition that feeds into the goal-oriented thinking of Germans. It’s the preposition an. I know many German learners dislike the preposition an. Please don’t worry about it any longer because I’m going to tell you what it means. Usually an is used to describe that something is right next to someone or something else. Not pressing against it, just resting on the side of it, very likely tapping or touching the other thing or person. For example, an is your most reliable course of action to describe that your hand is resting on your cheek (deine Hand an deiner Wange) or a man is leaning against a bar (Der Mann lehnt an der Bar). Going back to our goal-oriented thinking, you also want to use an before you end up in that spot or position. Gehen wir ans Fenster. (Let’s sit by the window.). Since you’ll end up on the side of the window or (also) on the side of the crime scene looking at it or (also) on the side of the intersection, it’s sensible to use an. An is also a 2-way-preposition and takes the accusative case here as we’re describing a movement. Do you get the feeling for how it works? That’s good because now we’ll talk about your best bet when it comes to going somewhere. Your best bet is the preposition zu. Now that you’re getting a feel for the meaning of these little prepositions, just be aware what the goal oriented actually thinking results in. When talking about going there, just use in, auf and an with the accusative case since you’re describing a movement. Use in, auf and an with the dative case when talking about being there since you’re describing a stationary scenario. Talking about zu, are you ready for the most efficient preposition when it comes to saying where you’re going? It’s up next. Contrary to popular belief, not nach but zu should be your go-to if you have no idea which preposition to use. Because you can substitute in, auf and an using zu. Only nach can’t be replaced. In general, you can replace the proposition in with zu, especially if you don’t want to stress the fact that you’re moving into a house, a building, a car, or anything else, when it doesn’t matter. Please note that Ich fahre ins/in das Restaurant is sometimes used in very casual speech and will be perceived as being incorrect when written down, but Ich gehe in das Restaurant will be fine. You should also know about one important thing, a mistake a lot of German learners make. Do you know how to correctly say I’m going to my mum’s house? Ich gehe zu meiner Mutter Hause. This has always been and will always be incorrect. Please don’t use the word Hause. It’s not a proper word. The English word ‘house’ translates as das Haus and in plural die Häuser. Neither of them ends in -e.
Please notice, zu is a dative preposition and therefore will always and forever take the dative case, even if a movement is being described. Last but not least, let’s talk about two culprits that you want to memorise as they are. Please don’t base any rules on these two phrases! I know I just said there’s no word like Hause and here I’m presenting it twice to you. But I also said please learn them as they are because they are phrases. They are phrases because they don’t make any sense nowadays, but they used to make sense. Back in the day, the dative case of singular words was formed by adding -e to the word. Since nach and zu are dative prepositions, people used to add -e to the word das Haus (die Häuser). Please be aware that in casual speech the final -e is dropped, making it sound like zu Haus’ or nach Haus, but this will be incorrect in written German. Zu Hause or zuhause to say you’re home. I wonder what you do to always think of the right preposition, especially when speaking? Do you have any tricks that you would like to share? I’d love to hear about it in the comments. I am pleased to find this website to learn German. I am from Afghanistan and now i live in Germany. I have learned English in Afghanistan. 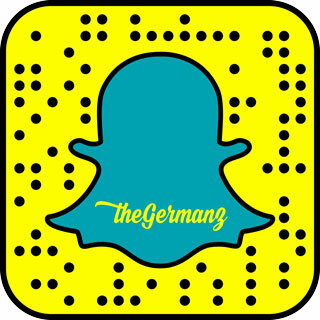 German is a difficult language to learn, speak and understand. But i am trying to learn German with the help of English and i found your website so helpful. I am thankful to you. Hallo Naseer, Thank you so much for your comment. I’m glad you find the website helpful! Viel Spaß beim Deutschlernen, bis bald! Danke Anja für das Blog. Es ist einfach und klar zu verstehen. Danke für dein schweres Arbeit. Die Videostucken sind super auch. Ich mache jetz ein Bookmark. Super! Ich bin so froh, dass es dir gefällt. Danke schön! Thank You a lot Anja! For now and forever I’m gonna remember these rules , You made it simple to “consume” , thank you for that. Hallo Beck, so happy you find it helpful. Danke schön! Hallo Dylan, ja wir sind in Melbourne. Ich schreibe dir eine Email 😀 Danke für deinen Kommentar! Thank you very much for writing this article. This is really helpful for choosing right preposition. Sometimes, when I have to pick a preposition, I translate the sentence into other languages I know and then it’s easier. 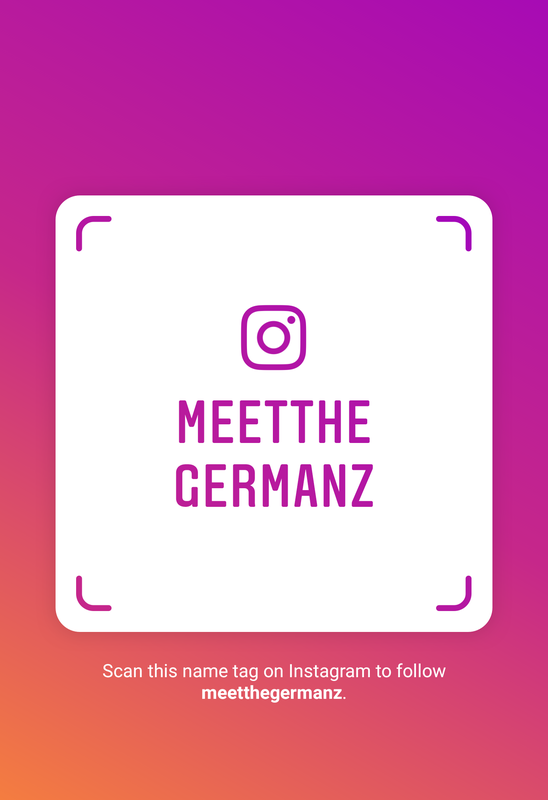 For example, in my mother tongue, Nepali and Newari, we have a specific preposition/word for German “an”, meaning when you are around/aside something or in the periphery. I think, comparing other languages that you know (other than just English) also helps (especially in the beginning), to learn a new language. Hi: Just discovered your site and blog. We’ll also post them on our German Facebook page and will pass them on to our German users from time to time. Ja, deutsche Präpositionen sind nicht immer einfach, besonders für Anfänger, aber wenn man ein bisschen weiter ist, fangen ein paar Regeln an, Sinn zu machen. Danke schön Peter, das ist wirklich nett von euch. Schönen Blog mit vielen nützlichen Artikeln und Spielen habt ihr! Macht weiter so! Ja, das stimmt, die Regeln machen erst Sinn, wenn sie einem schon fast zu den Ohren rauskommen 🙂 Danke schön für deinen Kommentar! I really appreciated you to share the indepth explanation of how to seperate in, auf, an, zu, and nach. This is always a big trouble for a english grammar oriented educated people like me. Thanks and keep it up! I’m from Lima, Peru, and always kept this doubt in mind. It’s been 12 years since I left school but still teach German to little girls, and today I stepped into this problem. In Spanish (just like in English) you just use “in” (en) and “at” (a). Hi: thanks a ton for this great help with prepositions. Just had a doubt though: why is it ‘in die Kneipe’ and ‘an die Bar’? Or can they be used alternatively? Hallo Nikhil, So glad you ask about it! With ‘Bar’ I mean the counter at a pub, the place where you order your drinks, so if you said ‘in die Bar’ (used as the word for counter) you’d be saying ‘you’re going into the counter’. But I’m with you, you can certainly use ‘die Bar’ instead of ‘die Kneipe’. Sorry if it was confusing, thanks for pointing it out! Danke schön! So what’s the difference between “auf die Bank gehen”, “in die Bank gehen”, and “zu der Bank gehen”? Glad you find it helpful and glad you’ve got a follow up question. You can use all three prepositions alternatively. “Auf” is used more often in the south instead of “in” and both of them are more precise than “zu”. But you can use all three interchangebly. 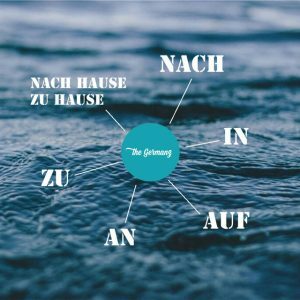 Most learners like sticking to “zu” as it can be used to replace morst 2-way-prepositions like “auf”, “in”, “an”, etc., it’s the “easier” preposition but most Germans will most likely prefer the 2-way-prepositions (auf, in, etc) as they are more exact. It’s probably best to use “zu” first yourself and when you come across other prepositions (auf, in, an, etc), have a think why someone used them in that particular instance (were they going to end up on, in, between, on the side of something, etc?) and slowly start incorporating them yourself once you’re more confident using them. Hope it helps 🙂 Danke für deinen Kommentar! hello anja , first thank you soo much for the vedio , i have small doubt that , while sitting in the home , i want to say to my mother that ” i am going to the bank / schule / kino/wald/park / bahnhof ” ( i mean i am going inside of this places ). so then i will say ” ich gehe in die bank/in die schule/in das kino/in den park/in den wald/in den bahnhof “. ( oder ) ich gehe zu der bank / zu der schule/zu dem kino/zum park/ zum park/zum bahnhof. Hallo Hemanth, my pleasure. If you really want to stress the fact that you’re walking into the building, school, cinema and so on then of course just use the ‘in’ instead of ‘zu’. If it doesn’t matter that you’re walking into it, ‘zu’ will be as good as ‘in’. Hope it helps 🙂 Danke für deinen Kommentar! Amazing! Really, thank you very much.. I was always a little bit confused, even if I learnd something about it. This is perfectly clear and I would recommend everyone. Now, I understand. Mit welcher Software bearbeiten Sie Ihre Videos? Hii , really the whole content was useful but I am always a little bit confused with Nach vs Bis with city names ( I MEAN Nach hamburg vs Bis Hamburg ) . can you explain , whats the difference between ich fahre nach Hamburg and ich fahre bis Hamburg . Hallo Marx, Glad you find it useful. When you say Ich fahre nach Hamburg then Hamburg is your only destination, you’re just going to Hamburg. Ich fahre bis Hamburg means that you’re maybe on the train and you’re getting off in Hamburg while the train might go further maybe to Berlin, Hamburg is just another stop along the way to Berlin. You can also use the latter when you’re first going to Hamburg and then to Berlin: Ich fahre erst bis/nach Hamburg, dann fahre ich nach Berlin (which is my final destination). As you can see you can sometimes use nach and bis alternatively. If you can’t decide, nach will be your best bet as it can be used instead of bis in this context. Hope it helps 🙂 Danke für den Kommentar!